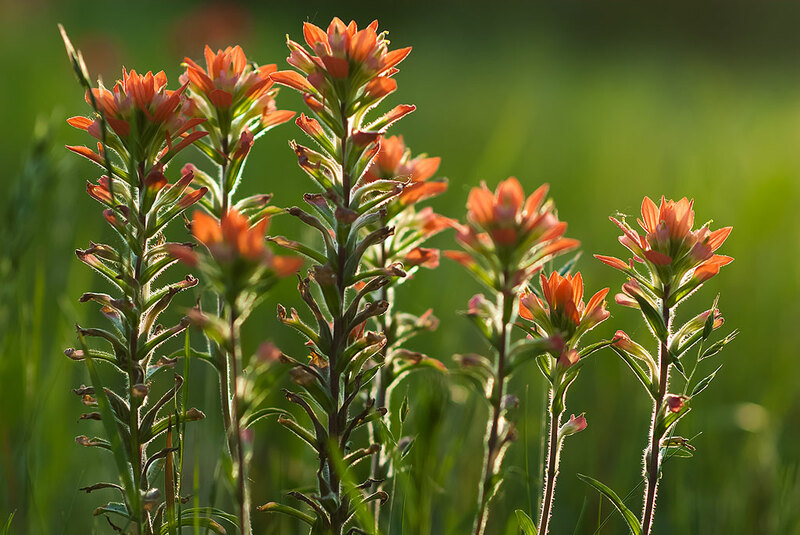 I watched the light as I worked outside last night, and was ready to photograph these Indian Paintbrush in the pasture near sunset. They are Abby’s favorite flower. I have had this John Deere lawn tractor for ten years now. 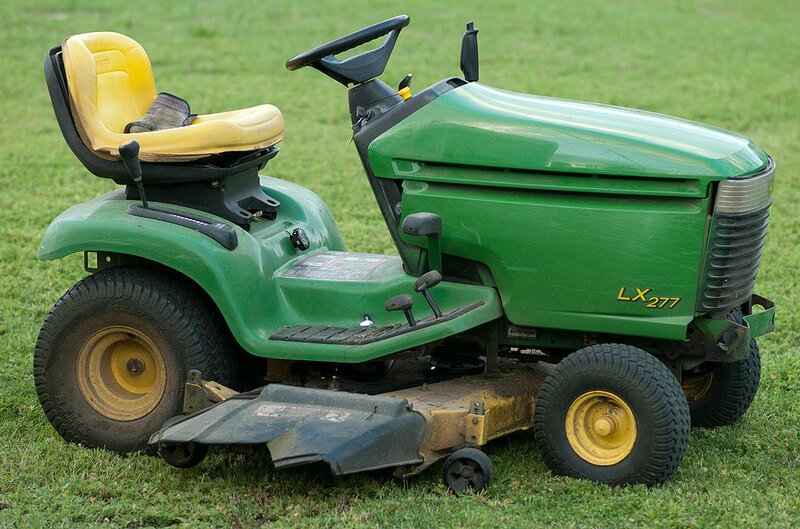 We certainly have cut a lot of grass together. Yesterday I took our chain saw and our power washer to the small engine place. The guy there told me he could fix the power washer, but the chain saw, a Homelite, was out of production because the company who made it was bought and sold several times, and he couldn’t get parts. (Sidebar: this is why I don’t recommend relying entirely on cloud computing services, because they can be bought, sold, and closed). I went by Home Depot to find a replacement and discovered that battery-operated chain saws are available and affordable, so I bought one. It is a Ryobi, and uses a 40-volt lithium battery. 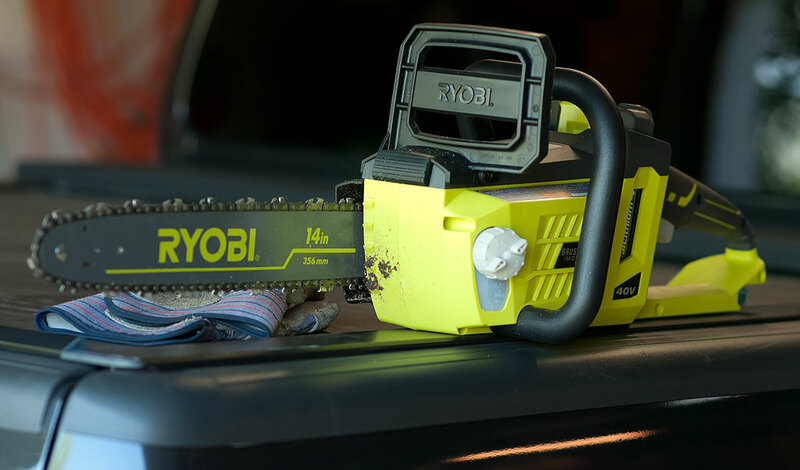 I was surprised by how lightweight and powerful my new Ryobi battery-powered chain saw is. 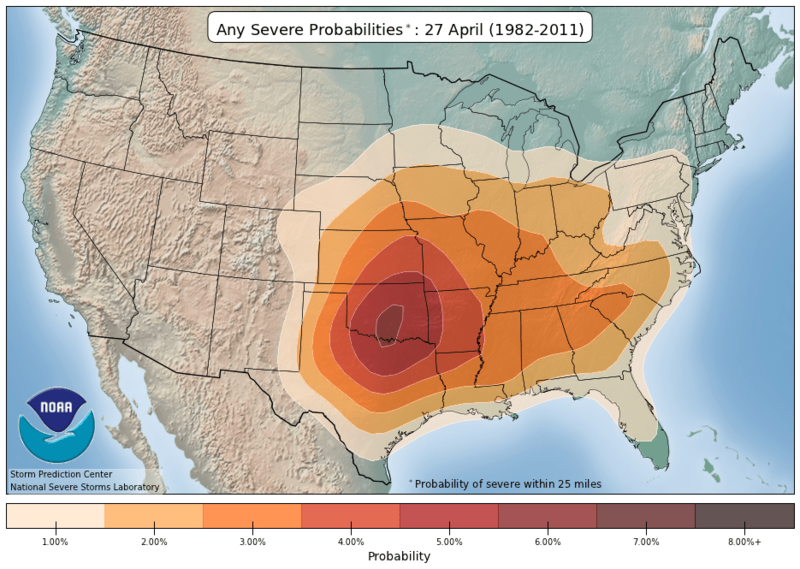 As you can see in this climatological graphic, Oklahoma is at the center of the statistical bullseye for tornadoes at this time of year. I got it home, charged it up, and tried it out. It worked much better than I expected. Zzzzzzt! I was though a giant tree branch. Zzzzzzt! I had removed an entire dead Rose-of-Sharon. Zzzzzt! Abby’s photinia was under control. I also finished the mowing I started yesterday, and gassed up my car, Abby’s truck, and the RV. We are facing a severe weather threat tonight, and I wanted to have the yard work wrapped up so I can follow the weather and protect my family, then spring into action to photograph whatever might be newsworthy without worrying about daily stuff. 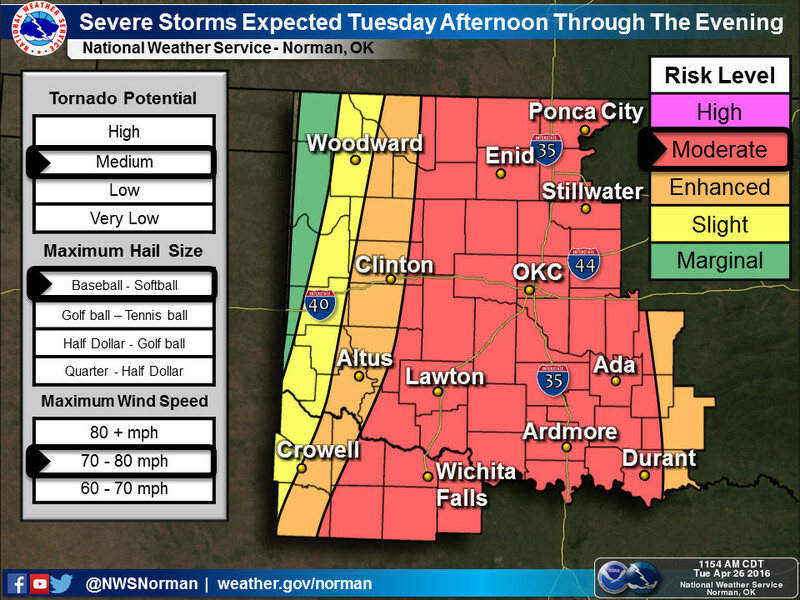 As you can see, Oklahoma is in the red zone for severe weather tonight, though not in the “high risk” category. If you zoom in on Ada far enough, you can see me waving. I enjoy reading these slices of life. Pun sorta intended. Hope the weather’s not too bad, but I’d love to see some storm images if you get any.